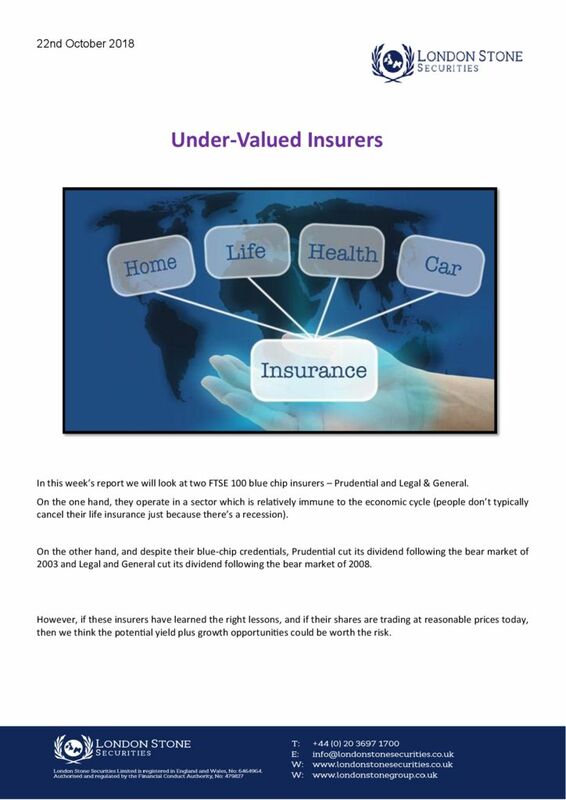 In this week’s report we will look at two FTSE 100 blue chip insurers – Prudential and Legal & General. On the one hand, they operate in a sector which is relatively immune to the economic cycle (people don’t typically cancel their life insurance just because there’s a recession). On the other hand, and despite their blue-chip credentials, Prudential cut its dividend following the bear market of 2003 and Legal and General cut its dividend following the bear market of 2008. However, if these insurers have learned the right lessons, and if their shares are trading at reasonable prices today, then we think the potential yield plus growth opportunities could be worth the risk.